This is a great idea that I've... um... 'borrowed' from Decoybetty. Though I haven't travelled much, it's nice to reflect on where I've been. A: Age you went on your first international trip: About 3 months. I spent my first Christmas in New Zealand. Apparently we flew First Class, because there weren't any other non-smoking seats left! B: Best (foreign) beer you’ve had and where: Oooh. I had some really nasty ones in the States. The less said about them, the better. There was nothing better than a cold Chang in Phuket though. C: Cuisine (favorite): Mexican. I love everything about it, especially the frozen sangria! D: Destinations, favorite, least favorite and why: I loved the States. New York just had endless amounts of things to do, which is a great thing for a tourist! I am not a fan of Masterton, New Zealand. It's not generally known as a 'destination', but it was the only overseas place I'd been to until I moved to Auckland at the age of 24. There is literally nothing to recommend that place. 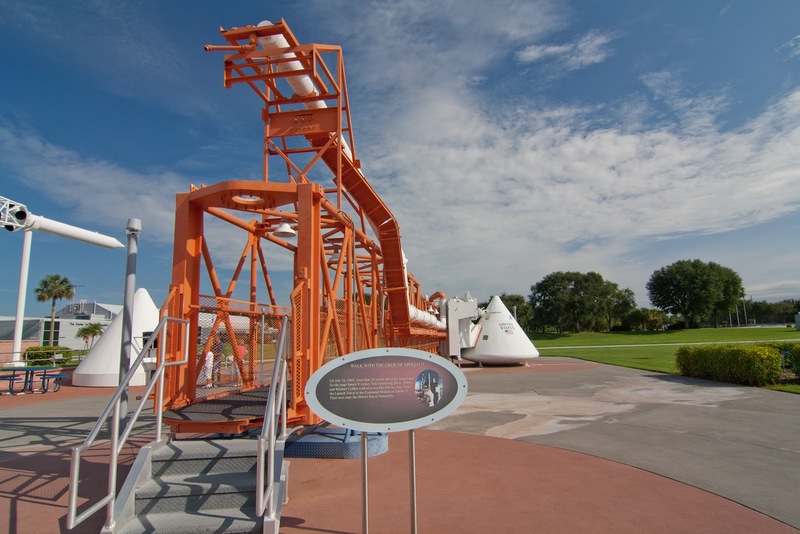 E: Event you experienced abroad that made you say “wow”: Visiting the Kennedy Space Center. I always wanted to be an astronaut! To see the real rockets and spacecraft up close was amazing. I still think it's incredible that we made it to the moon with 1960s technology! F: Favorite mode of transportation: Whatever works. Public transport is ideal. Otherwise, walking - you see a lot that way. G: Greatest feeling while traveling: I like just going with the flow. Nobody else has any expectations of me when I'm away from work. I love that just being open to opportunity leads to all kinds of interesting experiences. H: Hottest place you’ve traveled to: Central Australia in the middle of summer. It was 47C during the day, and about 3C at night. I: Incredible service you’ve experienced and where: Absolutely everywhere in Thailand. Seriously, people couldn't do enough for you, and everything came with a smile. K: Keepsake from your travels: Hmm, I'm not much of a purchaser on holidays (except for food!). I guess it really is down to photos and memories! I'll never forget the three different ladies who stopped me on 5th Ave to ask whether my lipstick was Ruby Woo (it was). L: Let-down sight, why and where: Disney World in Orlando. It was fine. It was also massively expensive. I did like the cheesiness, and the total commitment to a theme... but honestly? I was super disappointed by the rides! I know it's aimed at children, but there was almost nothing at all for 'big kids'. M: Moment where you fell in love with travel: The first time I actually got a stamp in my passport. Um, I was 26. N: Nicest hotel you’ve stayed in: Well, it wasn't a hotel. Nor was it luxurious. But a few years ago, Chris and I spent a night in Walhalla while we were on a trip to Melbourne to see my family. We stayed in the cutest little old miners cottage. It was extremely rustic, wonderfully isolated, and completely beautiful. O: Obsession—what are you obsessed with taking pictures of while traveling? : Oh, everything. One thing I need to get MORE photos of is myself and my travel companions! I always forget to do that. P: Passport stamps, how many and from where? Sod all. Thailand and the USA. That's it! I've had a passport since I was three months old, but Australians don't get visas when they visit NZ (hence no NZ stamps), and obviously Australia doesn't give me visa stamps because I'm FROM there. I guess I'll get some in Vanuatu in September? Q: Quirkiest attraction you’ve visited and where: I'm not sure if *quirky* is the right word, but that witch museum in Salem was really something... Note to everyone else: don't ever bother going to that place. We were hoping for tacky weirdness, but we got tacky boring crappiness. R: Recommended sight, event or experience: Know your own country! I find it bizarre that people will spend tens of thousands of dollars to travel overseas, but won't spend a few hundred on weekend trips to interesting places nearer home. S: Splurge; something you have no problem forking over money for while traveling: A proper room. Which is to say, I do not backpack. I will not 'hostel'. I would rather have a safe, clean room all to myself (or shared with one or two people of my choice). 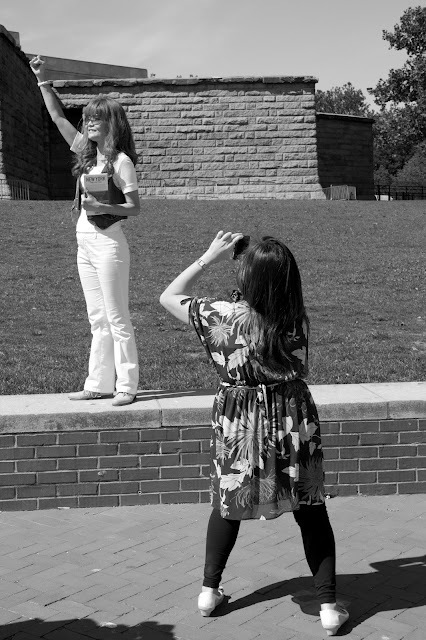 T: Touristy thing you’ve done: Statue of Liberty. Though I'm pleased to say that none of us 'zombied out' with the headphone tour of the island. Nor did we pose with one arm in the air! V: Visas, how many and for where? Only two! One for Thailand, that they automatically give Australians on arrival. And one for the USA, where I got treated like a criminal at LAX first (I don't think they singled me out, they are just awful to everyone). I love that I live in a foreign country with absolutely no visa. I don't know how many countries allow that! The only problem is when I have to prove how long I've lived in NZ (for various bureaucratic reasons)... I have not a single stamp showing the date I arrived! It was January 4th, 2008, for the record. W: Wine, best glass of wine while traveling and where? Well, I find Australian and New Zealand wines to be the best. So obviously I don't need to travel for them. I did love the frozen sangria in New York though! Even though just one was nearly enough to put me on the floor. X: eXcellent view and from where? : I think the Desert Road is eerie and beautiful. Dangerous in winter (with the snow and black ice), but amazing in different ways with each season. That's probably a little unfair though, because I'd been to plenty of amazing places in Australia and New Zealand before then. Z: Zealous sports fans and where? : Home! And by that I mean Melbourne. Kiwis claim to be sports fans, but hardly any of them actually brave the cold to go watch some live sport. Boston rates a mention here though, because I LOVED listening to their accents while they complained about every single baseball team up to and including the Red Sox! 2. Quirky does not even BEGIN to cover the crazy that was housed at the Salem Witch Museum. 3. I honestly think that having an SLR hinders my ability to remember that sometimes people should be in the photo too. I guess it's just easier when you can do the one handed self portrait with a point and shoot?! Thank God for Lauren and Sara in Boston and New York, or I wouldn't have ANY photos of us together!!!! 3. I hadn't thought of that - that reason actually makes sense! I love this post :-) I might copy it at some point. Glad you enjoyed it, at least!